Here are two more seascapes. 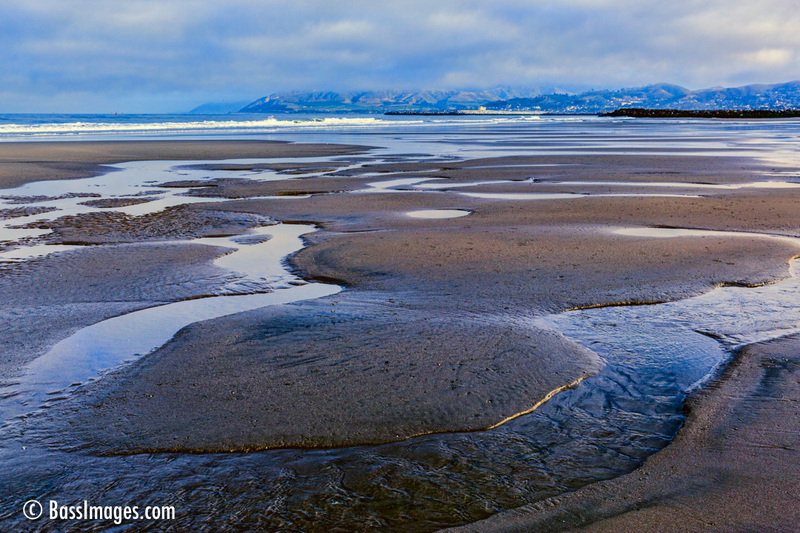 The first was taken early in the morning at low tide at the beach adjacent to Ventura Harbor. 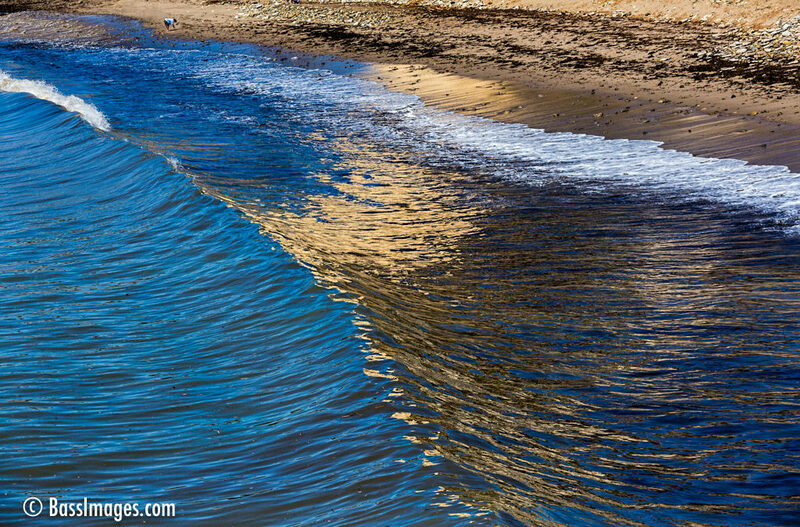 The shallow pools formed by the retreating waves caught my eye and I captured the moment. The other image was taken on a brief stop after a client photoshoot. I walked out on the Ventura Pier and watched as the sunlight looked like liquid gold on the breaking waves. I shot a few hoping to catch a wave with just the right curve. To make things even better, there was a lone beach comber at the upper right.